More than four-fifths of Ukrainians say they will vote on Sunday (March 31) in the first nationwide election since the snap presidential and parliamentary polls of 2014. That vote was sparked when pro-Russian president Viktor Yanukovych was forced out of power by the “Maidan Revolution”, which cost the lives of more than a hundred people. This Sunday, Ukrainians will choose one of 39 candidates to be their new president. According to polls published during the last weeks of a highly-competitive campaign, an entirely new face in politics – TV personality Volodymyr Zelenskiy – is leading ahead of experienced Ukrainian politicians, including former prime minister Yuliya Tymoshenko and current president Petro Poroshenko. These three are the favourites to progress to the second round. However, many voters say they will not decide who to back until the last minute. We asked Ukrainians who participated in the revolution, or protested against Russia annexing Crimea, how they feel today ahead of a new decisive vote. Have their hopes and aspirations come to pass? What are their biggest concerns today? Myroslav Marynovych, the co-founder of Amnesty International Ukraine and a founding member of human rights organisation Ukrainian Helsinki Group, said: "During five years, the independence and pro-European choice of Maidan of the year 2014 is confirmed, supported and strengthened." 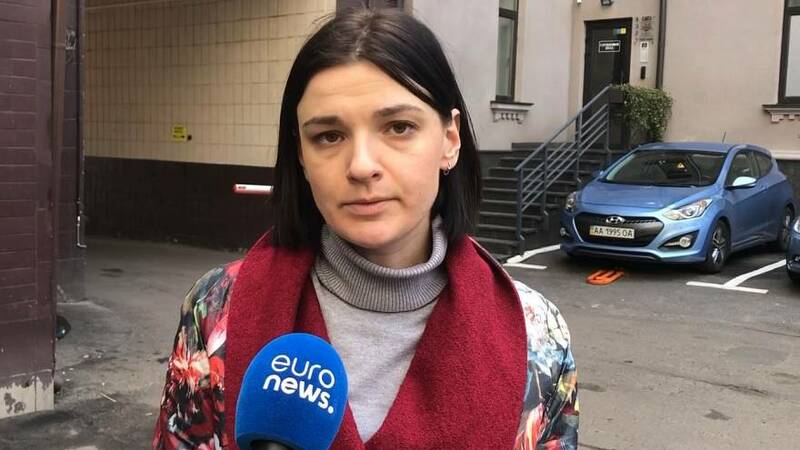 Investigative journalist Eugenia Motorevska is not satisfied with the changes she has seen since 2014. She said: "The changes could be much more intense, we could have much more of them, and much less of corruption scandals." While businesswoman Anastasia Mokrentsova, who is from Crimea, said: "Five years on, life got worse. It’s harder to live, people are angry, people are poor, falling further down. "And we don’t see that situation with Donbas [moving] on and that the situation is being resolved. We don’t see Crimea going back. That’s why for me [these] authorities are bloody, сruel and corrupted." Enver Bakirov, displaced from Crimea, claimed the region is his absolute priority in terms of who he will vote for. He said: "For me as a Crimean Tatar, there are very definite criteria regarding the candidates: what is this or that candidate – we have more than 30 candidates today – what they are saying about Crimea? How much [does] he care about this problem? Almost a third are avoiding this topic altogether. For me as a voter, straight away these people are [on] the blacklist." Safinar Dzhemileva, the wife of an exiled Crimean Tatar leader, said: "Ukrainians should elect someone who will lean Ukraine towards Europe, European Union, to NATO and will try his best try to keep, to bring back the territories of Ukraine and its independence."